Reserve your tickets for our June 9th concert today! 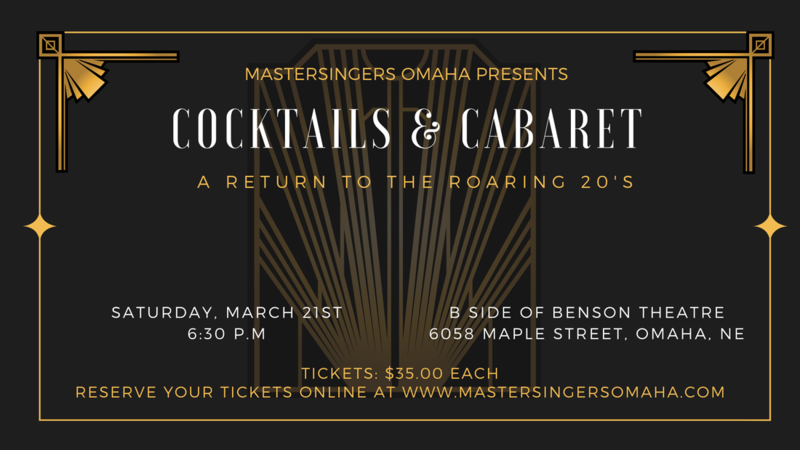 ​MasterSingers seeks to develop enduring ensembles for adults and youth which nurture the unique blend of contemporary jazz and pop music through performance, education, and a commitment to excellence, and foster a greater appreciation of music and live performance, accessible to all, in the Greater Omaha Metro Area. ​MasterSingers does not and shall not discriminate on the basis of race, color, religion (creed), gender, gender expression, age, national origin (ancestry), disability, marital status, sexual orientation, or military status, in any of its activities or operations.